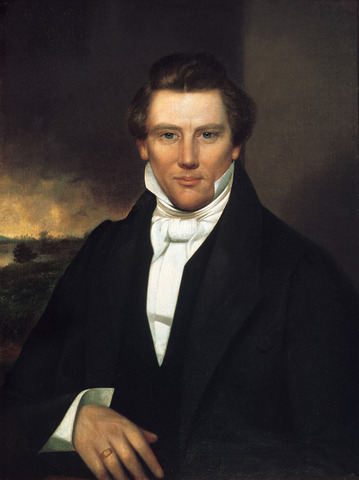 Get the full lesson "The Prophet Joseph Smith” from the Teachings of Lorenzo Snow at LDS.org. The Prophet Joseph is an example and a teacher of enduring well in faith. I do not worship him, but I thank and love him as the Lord’s prophet of the Restoration. He has helped me pray with the intent to obey. I am better able to feast in the word and the love of God. Because of him I feel the Holy Ghost more often in the moments when I try to build the faith of a person in the Lord’s kingdom. And because of what I know of the Prophet Joseph and the scriptures which were revealed through him, I more often feel the love of God for His children and of His for me when I reach down to lift someone up. Read the full talk, "An Enduring Testimony of the Mission of the Prophet Joseph" by President Henry B. Eyring. Watch this powerful testimony given by Elder Jerffrey R. Holland in this Mormon Message video that features the Book of Mormon and the prophet Joseph Smith.